Keeping track of your schedule is definitely A lot of people use their phones nowadays to track their schedules, but some people do still prefer to use planners. There are also people that use both. We will introduce a planner where you can write down your class schedules, org and club activities, family events, and show you the best ones available online by ranking! There are a lot of cute ones too, maybe you can give them out as gifts to your girlfriends! There are too many products available in bookstores, it can be very confusing to choose one, especially if you don’t even know what you should look for, right? 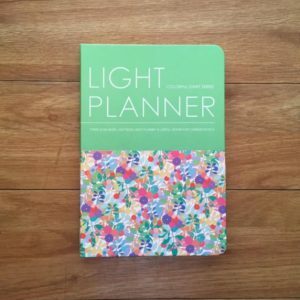 Of course, you will check the cover design first, but there are other points to look for when choosing a planner. We will show them to you here, for your reference. Planners have different sizes, may it be as big as your notebook or pocket size. 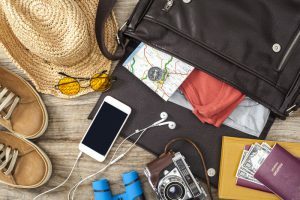 You will basically bring your planner wherever you’re going, so a lot of people choose the compact size, but if the size is too small, you will be having a hard time writing your notes down. When choosing the size, think first on how long your notes would be. Do you want to write down all the details, use it as a journal, or do some doodles? If that’s the case, then a bigger planner might be good for you. We’re not talking about unnecessarily big planners here. If your planner is almost the same size as your books or notebooks, then it won’t be a hassle to bring them around too. Think also about the bag you usually use, to help you decide on the size. There are monthly planners, weekly planners, or yearly planners. Some have all three, other ones just the monthly calendar. 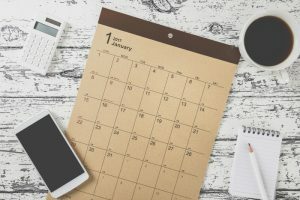 The planner that only has a yearly calendar is very thin and easy to bring along, but the writing space is very small. You can only write around 2 plans in 1 day. It is recommended to those who want to look at the long-term schedule. For weekly planners, it is definitely thicker than the others, so you might feel uncomfortable when writing down your plans. Though you will have a lot of space for your notes, so this is recommended to those who want to write down all the details. There are planners that can be customized, or some with pages that can be rearranged, etc. 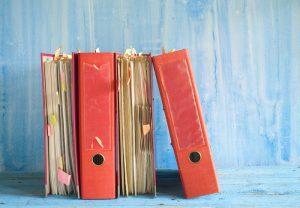 If you want to keep pictures and documents, or other important information such as org and club activities or exam details, look for the planner that fits all these. We highly recommend planners that can be customized for those who want to keep all the information in one space. If you are trying to look at your long term goals, then you can check if the planner can help you with that. Check your own lifestyle if the features match your style. We will now show you the most recommended planners in rank order. Those that are simple and easy to use as well as those that can be customized depending on your need. Hope you can find the perfect planner for you. 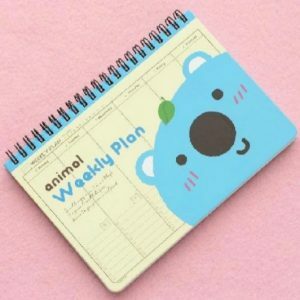 This planner has a weekly planner with spacious writing spaces, perfect for those who want to write down all the details. This also has notebook pages where you can write down notes, scratch, or doodle. The best part is, you can start using this planner anytime you want because you will be the one to fill in the dates. 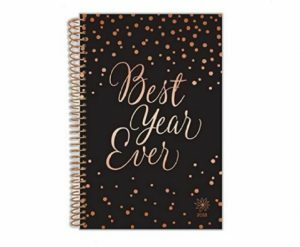 Perfect if you want to start using a planner at the beginning of the school year, right? Though some may find it a bit hassle. A unique feature about this planner is you can write smoothly on each page because of its vertical flip, just like steno notebooks. Another good thing is it comes with a checklist for each day, to better track your tasks. There are 6 very cute designs to choose from. It can be a little expensive, but can be worth the price! 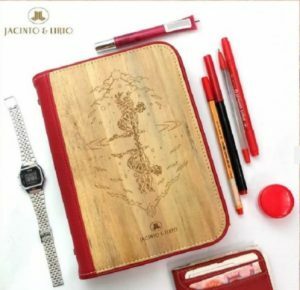 This planner not only serves as your schedule tracker but also as a diary or journal. Sometimes, writing everything down can calm you down, or make you feel refreshed. 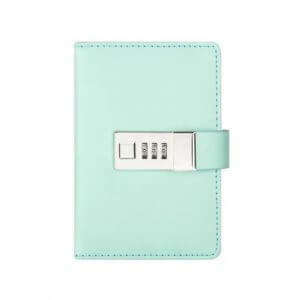 With this planner, you can write down EVERYTHING even your top secrets, as it comes with a lock. It is not recommended for those who want to quickly be able to write down notes, because of the lock. You can even manage your passwords, PIN, and other important details. Just make sure you won’t misplace it! This planner is perfect for those who want a balanced school life. Having fun while studying is definitely easier if you have this planner. It comes with monthly tabs, pockets on front and back inside covers, inspirational quotes for each month, end of month reflection questions, goal tracking tools and many more! This will definitely make your campus life more colorful. A downside is its price. A bit too pricey for a student’s budget, but if you have the budget or your birthday is coming up, this may be the perfect gift to yourself! One thing common about all college students is that their class schedule is a mess. Okay, that can be an exaggeration, maybe not all students, but most students experience a class schedule with 3 hours break, or even more. This planner will keep you busy for those hours. The coloring is proven to be effective in relaxation and can be a great hobby too. 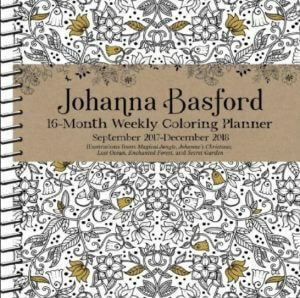 You might think it’s a bit expensive for a planner, but if you think of it as a planner + coloring book? Definitely worth the price! This planner’s pages are refillable, and the cover is very durable. You can use it for as long as you want! Very cost effective, and can also serve as your wallet. It has a removable pouch that you can use for cellphone, power bank, keys, cords, money, and papers. It even has 2 card slots where you can store your school ID. All you need is in this one tough planner. This will surely keep you organized all throughout your school years. You can even use it after you graduate! If you are a college student, there are a lot of things that you need to organize on your own like your class schedule, org activities, family events, thesis research, job interviews, etc. It may be overwhelming to think about all those, but by writing them down, it will help you organize your thoughts, as well as your schedule. This is the best time to learn to organize your schedule, and it will definitely help you in the future. Hope you find the perfect planner for you!